It occurred to me that the striking red color of this Hibiscus I found in a garden somewhere in Les Corts, Barcelona (specifically Numancia and Travessera) would look nice against the blue skies of previous photograph, at least until it disappears swallowed by the bottom of the page. 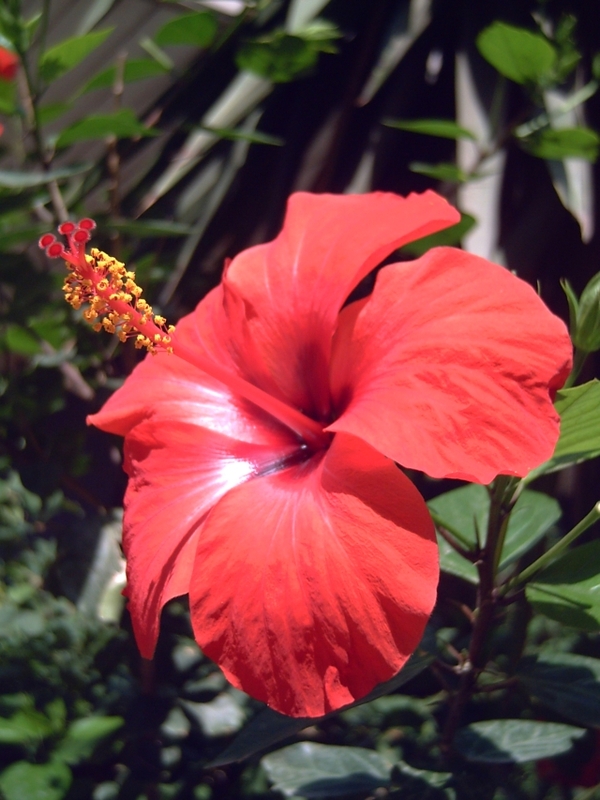 Another shot of Hibiscus flower. I found it hard to choose, but I preferred the shape of this one.